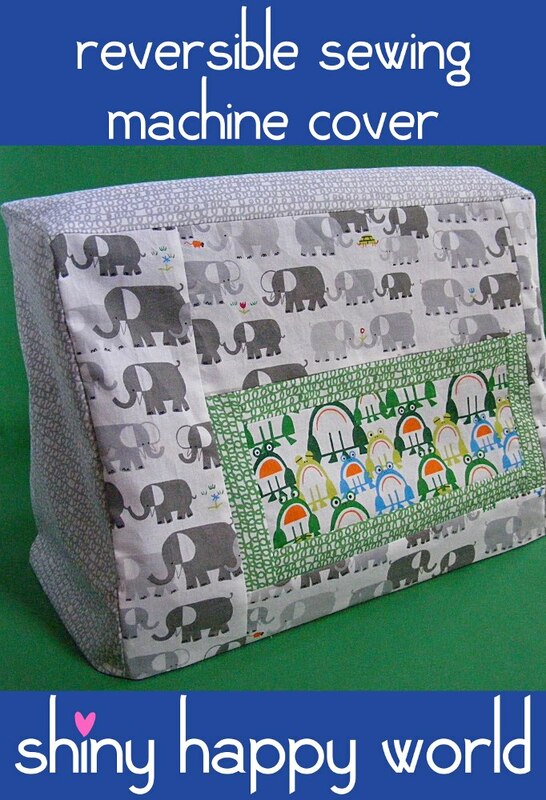 "I've always wanted to make a sewing machine cover, but somehow never got around to it. Until now. As soon as I saw the Ed Emberley fabric collection from Cloud 9 I knew I wanted to use it to make a few things for my sewing room. 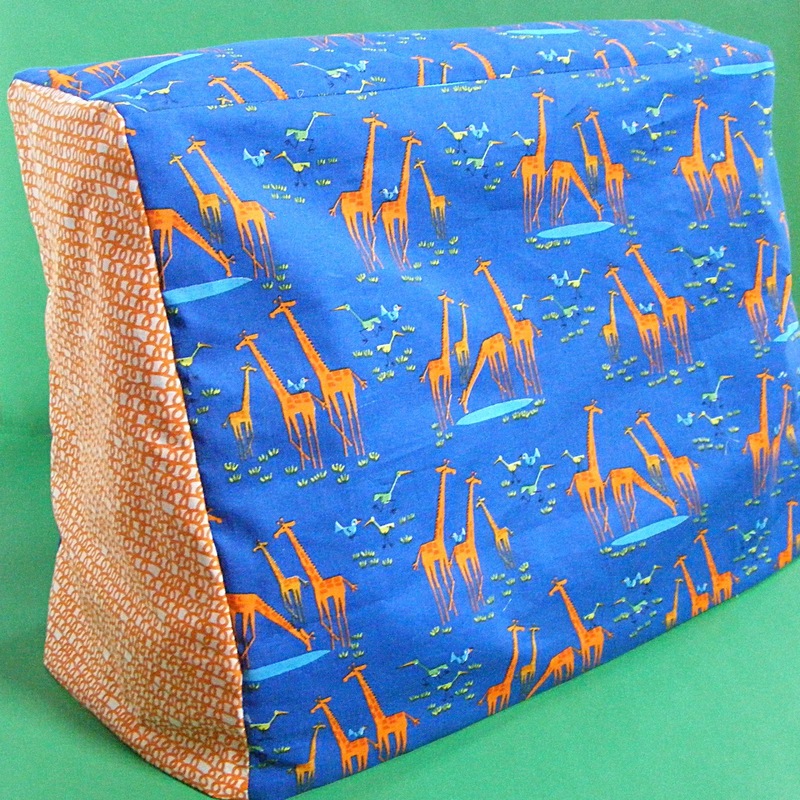 Making it reversible also gives the cover some heft without having to use interfacing. Nice! Plus it allows me to change my mind about which color I want to see. Ready to try your own?" 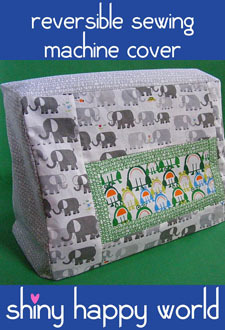 This pattern comes to us from Wendi of Shiny Happy World, a site that is full of wonderful projects of needful things! Please check out her Free Patterns page, and be sure to look through the rest of the site, it's all good for any level of skill. "Nice to meet you! I'm on a mission to teach people that anyone can sew. And quilt. And embroider. I design patterns especially for beginners so you can start anywhere and jump right in. You can totally do this!"